Recently I developed a short reading list for PhD students working on ecosystem services at the Stockholm Resilience Centre. This list seeks to cover and introduce a broad area of ecosystem service research with a focus on understanding ecosystem services in a social-ecological context, with a special focus on resilience. Kremen, C. (2005). Managing ecosystem services: what do we need to know about their ecology?. Ecology Letters, 8(5), 468-479. Lavorel, S., Grigulis, K., Fourier, J. & Cedex, G. (2012) How fundamental plant functional trait relationships scale-up to trade-offs and synergies in ecosystem services. Journal of Ecology, 100, 128–140. Jack, B.K., Kousky, C. & Sims, K.R.E. (2008) Designing payments for ecosystem services: Lessons from previous experience with incentive-based mechanisms. PNAS, 105, 9465–70. Muradian, R., Corbera, E., Pascual, U., Kosoy, N. & May, P.H. (2010) Reconciling theory and practice: An alternative conceptual framework for understanding payments for environmental services. Ecological Economics, 69, 1202–1208. Rathwell, K. J., and G. D. Peterson. 2012. Connecting social networks with ecosystem services for watershed governance: a social-ecological network perspective highlights the critical role of bridging organizations. Ecology and Society 17(2): 24.
van Noordwijk, M., & Leimona, B. (2010). Principles for Fairness and Efficiency in Enhancing Environmental Services in Asia: Payments, Compensation, or Co-Investment? Ecology and Society, 15(4), 17. Chan, Kai MA, et al. 2012 Where are cultural and social in ecosystem services? A framework for constructive engagement. BioScience 62(8): 744-756. Daw, T., Brown, K., Rosendo, S. & Pomeroy, R. 2011 Applying the ecosystem services concept to poverty alleviation: the need to disaggregate human well-being. Environmental Conservation, 38, 370–379. Daniel, T. C., Muhar, A., Arnberger, A., Aznar, O., Boyd, J. W., Chan, K., … & von der Dunk, A. 2012. Contributions of cultural services to the ecosystem services agenda. PNAS, 109(23), 8812-8819. 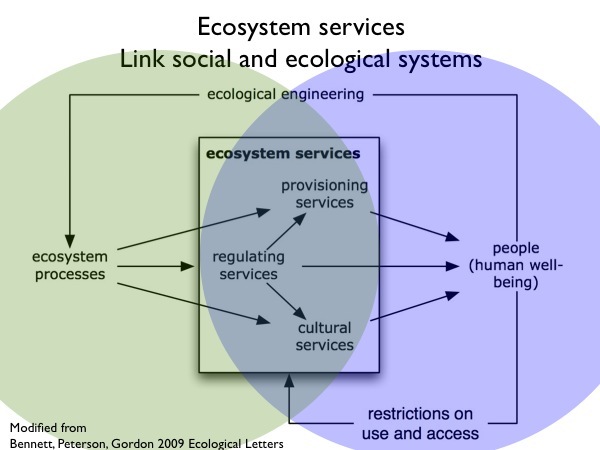 Fisher, B., Turner, R. & Morling, P. (2009) Defining and classifying ecosystem services for decision making. Ecological Economics, 68, 643–653. Biggs, R., Schlüter, M., Biggs, D., Bohensky, E. L., BurnSilver, S., Cundill, G., … & West, P. C. (2012). Toward Principles for Enhancing the Resilience of Ecosystem Services. Annual Review of Environment and Resources, 37(1). Raudsepp-Hearne, C., Peterson, G.D., Tengö, M., Bennett, E.M., Holland, T., Benessaiah, K., MacDonald, G.K. & Pfeifer, L. (2010) Untangling the Environmentalist’s Paradox: Why Is Human Well-being Increasing as Ecosystem Services Degrade? BioScience, 60, 576–589. Bennett, E.M., Peterson, G.D. & Gordon, L.J. 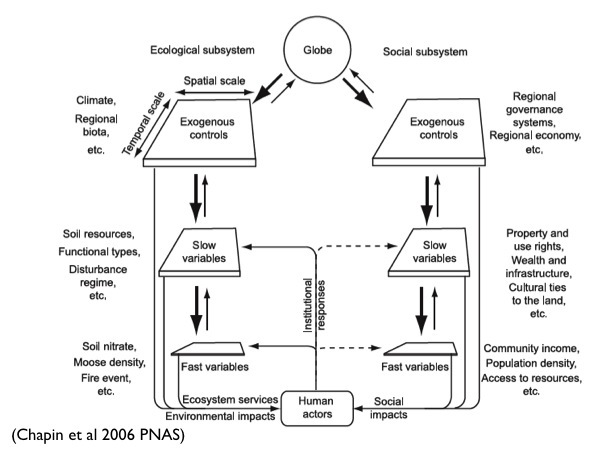 (2009) Understanding relationships among multiple ecosystem services. Ecology Letters, 12, 1394–404. Raudsepp-Hearne, C., Peterson, G.D. & Bennett, E.M. (2010) Ecosystem service bundles for analyzing tradeoffs in diverse landscapes. PNAS, 107, 5242–7. Nelson, E., Mendoza, G., Regetz, J., Polasky, S., Tallis, H., Cameron, Dr., Chan, K.M., Daily, G.C., Goldstein, J., Kareiva, P.M., Lonsdorf, E., Naidoo, R., Ricketts, T.H. & Shaw, Mr. (2009) Modeling multiple ecosystem services, biodiversity conservation, commodity production, and tradeoffs at landscape scales. Frontiers in Ecology and the Environment, 7, 4–11. Cowling, R.M., Egoh, B., Knight, A.T., O’Farrell, P.J., Reyers, B., Rouget’ll, M., Roux, D.J., Welz, A. & Wilhelm-Rechman, A. 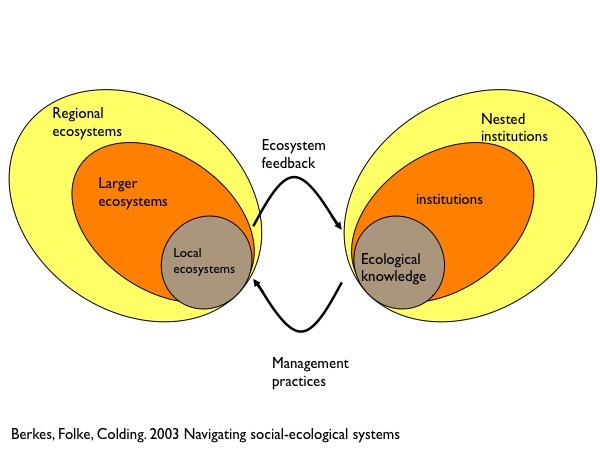 (2008) An operational model for mainstreaming ecosystem services for implementation. PNAS, 105, 9483–9488. Daily, G.C., Polasky, S., Goldstein, J., Kareiva, P.M., Mooney, H. a, Pejchar, L., Ricketts, T.H., Salzman, J. 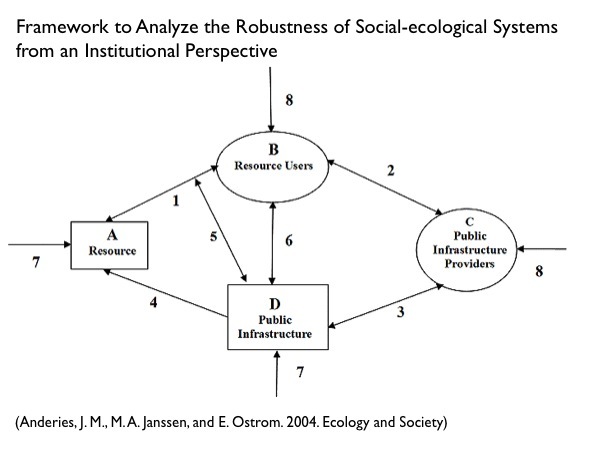 & Shallenberger, R. (2009b) Ecosystem services in decision making: time to deliver. 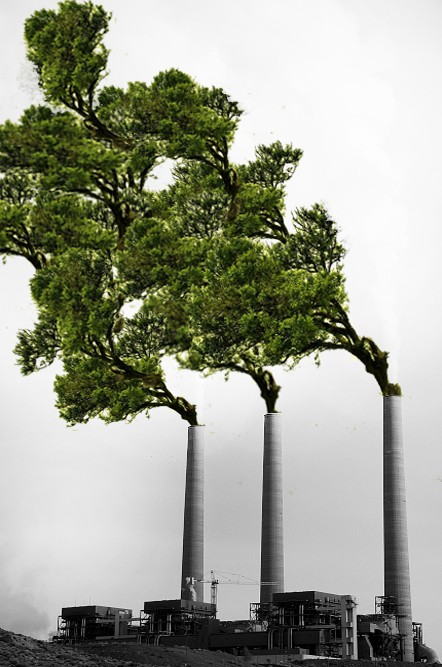 Frontiers in Ecology & the Environment, 7, 21–28. O’Farrell, P. J., Anderson, P. M., Le Maitre, D. C., & Holmes, P. M. (2012). Insights and opportunities offered by a rapid ecosystem service assessment in promoting a conservation agenda in an urban biodiversity hotspot. Ecology and Society, 17(3), 27. Carpenter, S.R., Mooney, H. a, Agard, J., Capistrano, D., Defries, R.S., Díaz, S., Dietz, T., Duraiappah, A.K., Oteng-Yeboah, A., Pereira, H.M., Perrings, C., Reid, W. V, Sarukhan, J., Scholes, R.J. & Whyte, A. 2009. Science for managing ecosystem services: Beyond the Millennium Ecosystem Assessment. PNAS, 106, 1305–12. Kinzig, A., Perrings, C., Chapin III, F., Polasky, S., Smith, V., Tilman, D. & Turner II, B. 2011. Paying for Ecosystem Services — Promise and Peril. Science, 334, 603–604. Kremen, C. and R.S. Ostfeld. 2005. A call to ecologists: measuring, analyzing, and managing ecosystem services. Frontiers in Ecology and Environment 3:10:540-548. Norgaard, R.B. 2010. Ecosystem services: From eye-opening metaphor to complexity blinder. Ecological Economics, 69, 1219–1227. This list over emphasizes the research from Stockholm Resilience Centre, which is useful for us, but probably not for those with other interests. For those who are interested – I have a broader open Mendeley of papers of ecosystem services – here. Please suggest papers that our students should be reading in the comments. An ongoing research programme in ecology is to use species traits to model ecosystem dynamics and function. Most of the effort on traits has focussed on plants. (1) The construction of a global-scale database of vascular plant traits. This database should gather under a single, easily accessible format data available in different existing datasets that cover a variety of biomes, geographic areas, and traits. The database construction is under the technical responsibility of the Organismic Biogeochemistry Group at the Max-Planck-Institute for Biogeochemistry. (2) Make the trait data available for the ecological community. The TRY database is not public, but data are shared among participants of the TRY initiative upon request, respecting the intellectual property rights of data contributors. (3) Support the design of a new generation of dynamic global vegetation models (DGVMs) which take into account the greater biological complexity, necessary for a more robust representation of ecosystem response to global environmental change. most plant traits are approximately log-normally distributed, with widely differing ranges of variation across traits. most trait variation is between species (interspecific), but significant intraspecific variation is also documented, up to 40% of the overall variation. Plant functional types (PFTs), as commonly used in vegetation models, capture a substantial fraction of the observed variation – but for several traits most variation occurs within PFTs, up to 75% of the overall variation. Hopefully we can expect much more progress in understanding ecological dynamics, as well as ecosystem function and services based on the further development and analysis of this database. Big congratulations to my former post-doc advisor Steve Carpenter on winning the 2011 Stockholm Water Prize. It is well deserved as Steve has done a huge amount of really innovative work on ecosystem dynamics, ecological economics, large scale ecosystem experiments, and environmental management. Professor Carpenter’s groundbreaking research has shown how lake ecosystems are affected by the surrounding landscape and by human activities. His findings have formed the basis for concrete solutions on how to manage lakes. “Professor Carpenter has shown outstanding leadership in setting the ecological research agenda, integrating it into a socio-ecological context, and in providing guidance for the management of aquatic resources,” noted the Stockholm Water Prize Nominating Committee. The Stockholm Water Prize is a global award founded in 1991 and presented annually by the Stockholm International Water Institute to an individual, organisation or institution for outstanding water-related activities. The Stockholm Water Prize Laureate receives USD 150,000 and a crystal sculpture specially designed and created by Orrefors. H.M. King Carl XVI Gustaf of Sweden, who is the patron of the Prize, will formally present Professor Carpenter with the 2011 Stockholm Water Prize at a Royal Award Ceremony in Stockholm City Hall on August 25 during the 2011 World Water Week in Stockholm.